Described as one of the most refined fragrance collections in the world, The Merchant of Venice pays homage to the beauty of Venetian culture. With more than a century of experience in the world of perfumery, its founders, the Vidal family, have carefully curated this collection of exquisite fragrance to express their everlasting love for their city. 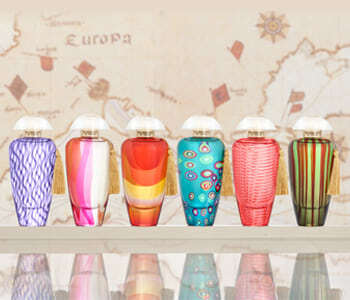 Inspired by grand journeys of exploration of raw materials, the Merchant of Venice fragrance collection expresses the uniqueness of Venice and its beautiful multicultural location through ornate fragrance bottles and inspirational scents.